Product information "BRISA CD SO KLINGT´S IM HOFBRÄUHAUS"
No visit to Munich in Germany is complete without a visit to the Hofbräuhaus. There you can enjoy the delightful traditional music of Bavaria, complete with brass band and oom-pah-pah. BRISA offers a glimpse into this world-renowned edifice. 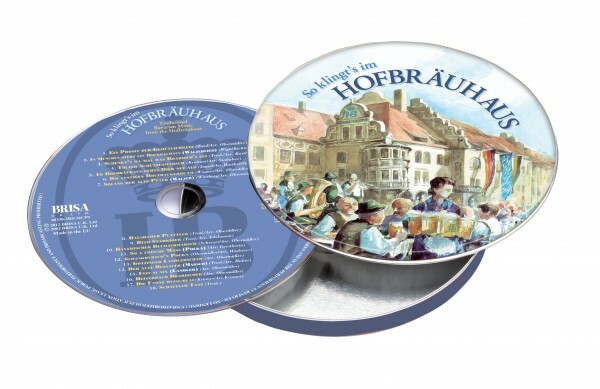 Related links to "BRISA CD SO KLINGT´S IM HOFBRÄUHAUS"
Customer evaluation for "BRISA CD SO KLINGT´S IM HOFBRÄUHAUS"